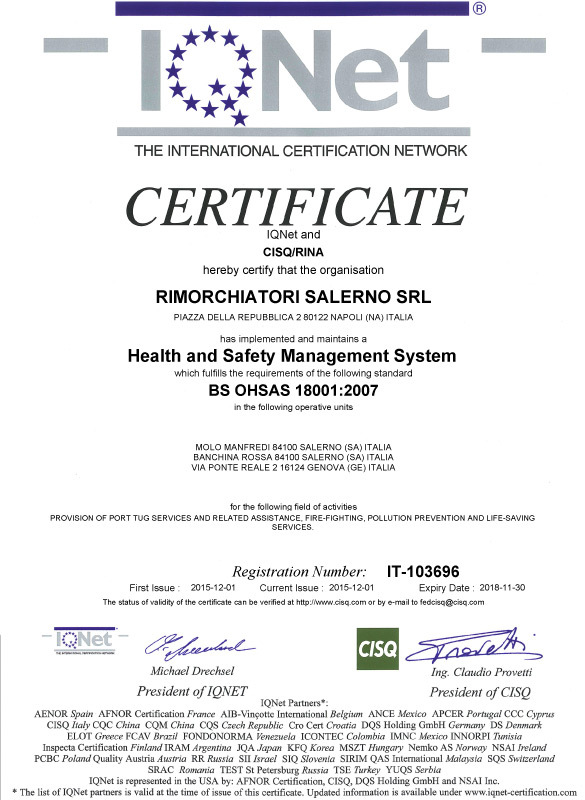 Our Group ensures the safety of human life at sea, protection of the cargo and respect for health and environment. 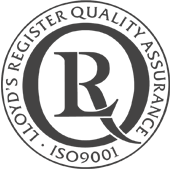 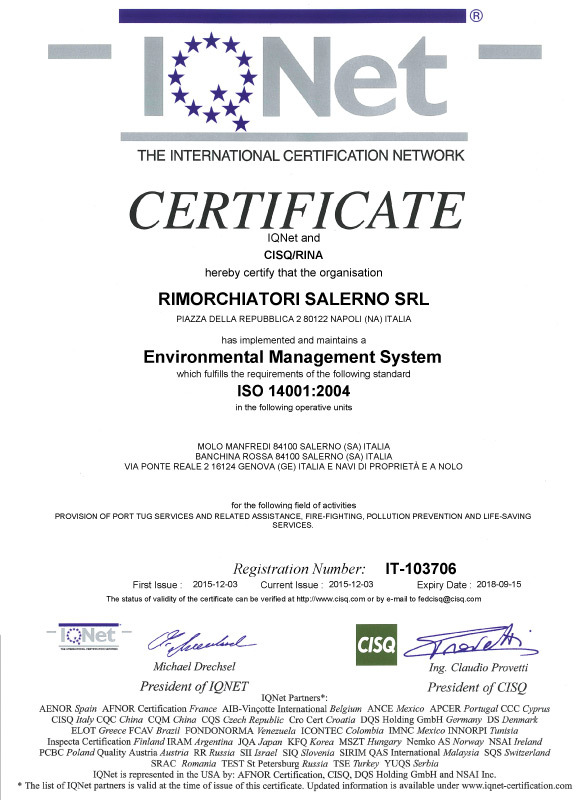 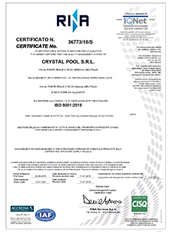 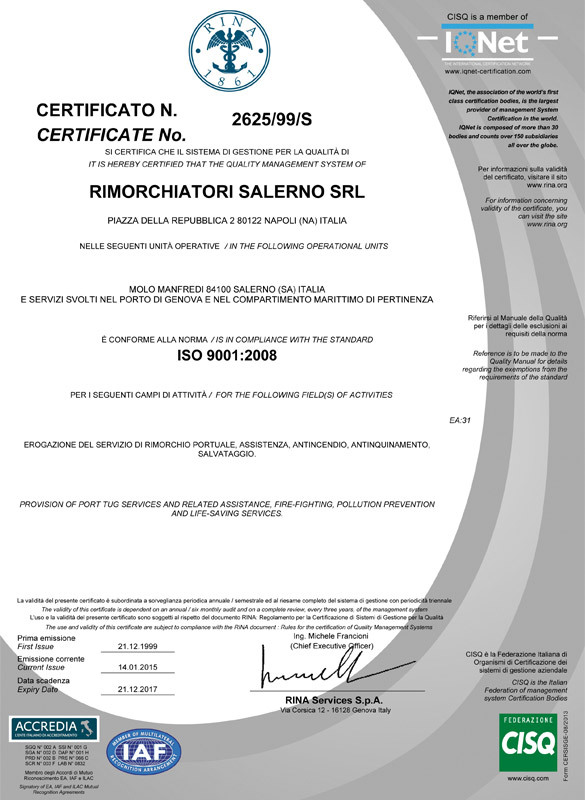 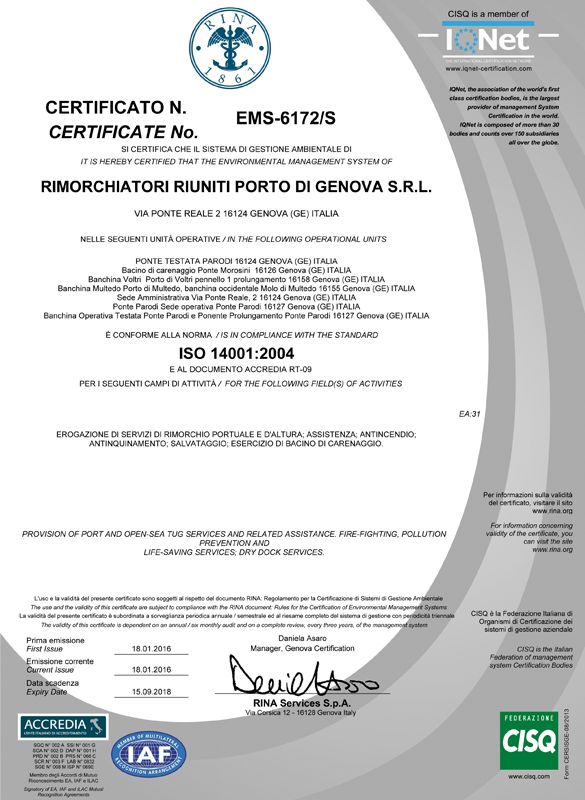 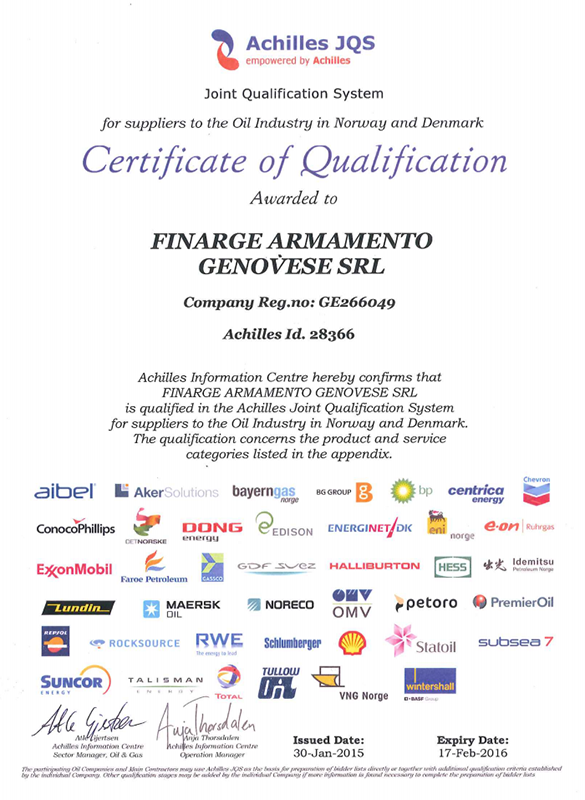 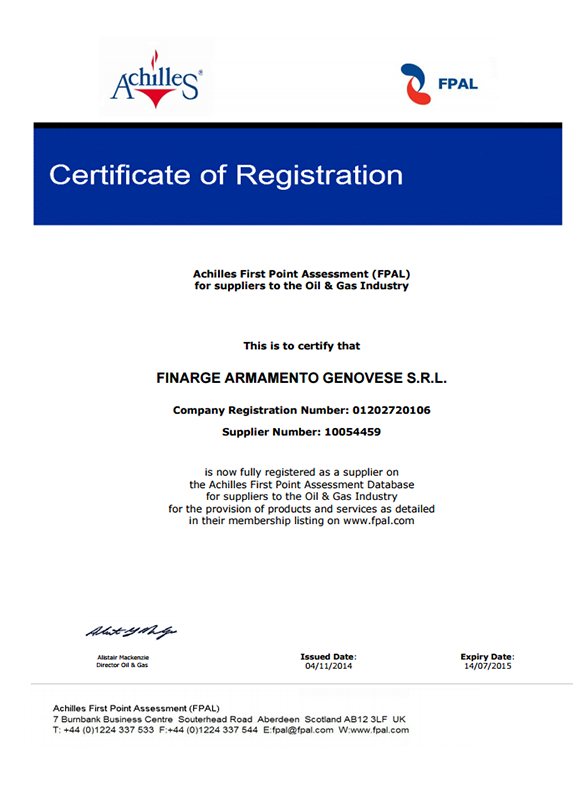 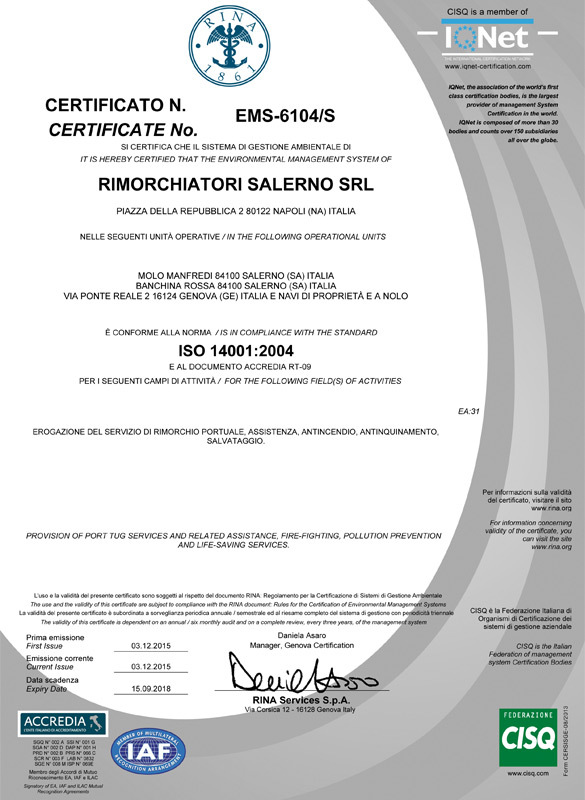 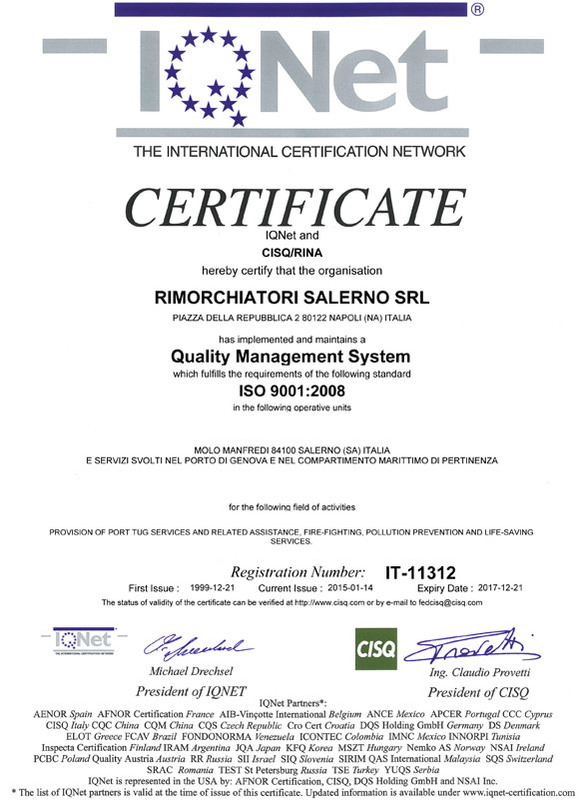 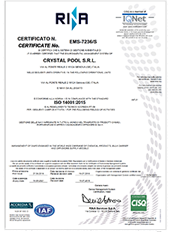 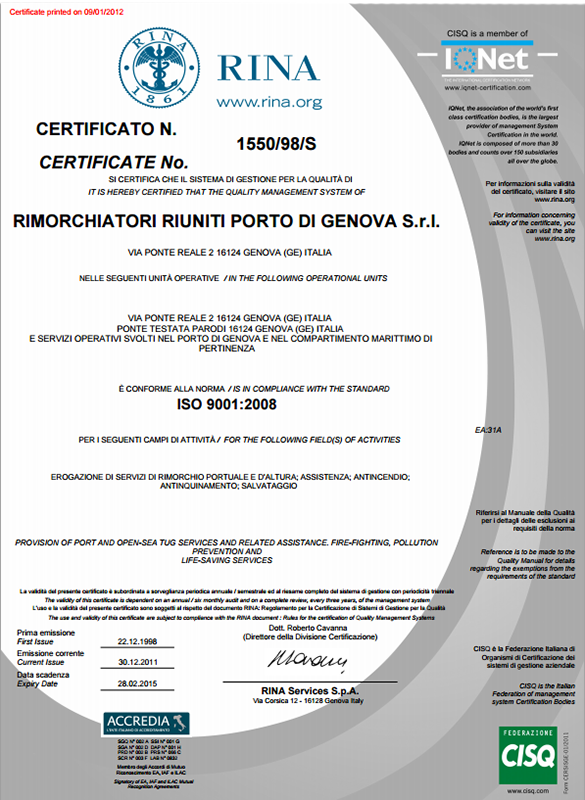 ​This is achieved through compliance to the International Organization for Standardization and its standards. 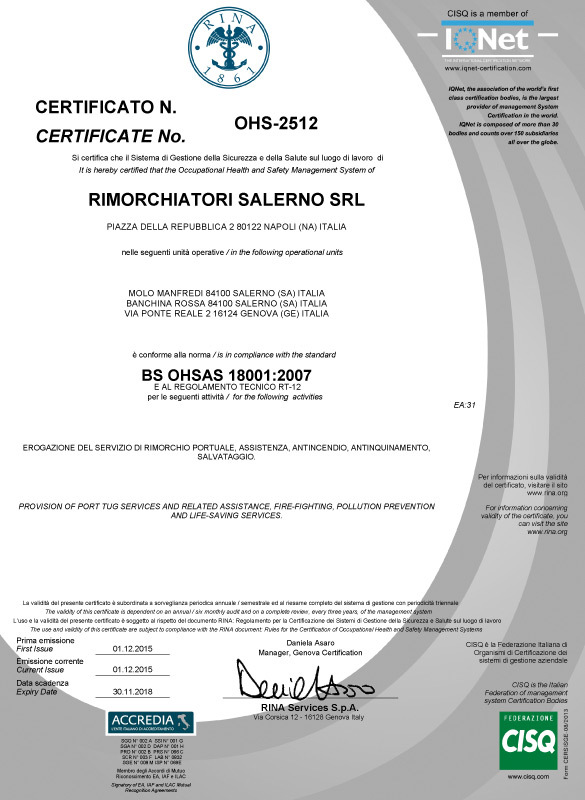 The Group constantly works towards keeping the controlled companies at the highest industry standards. 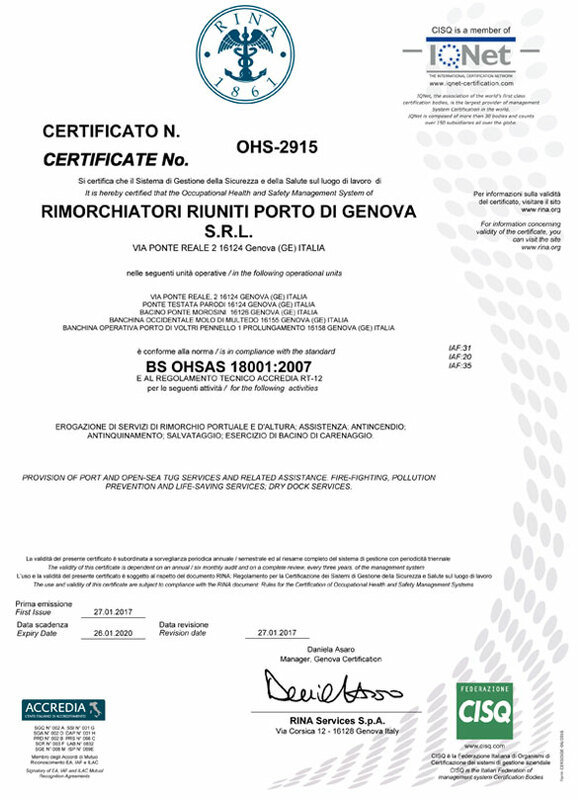 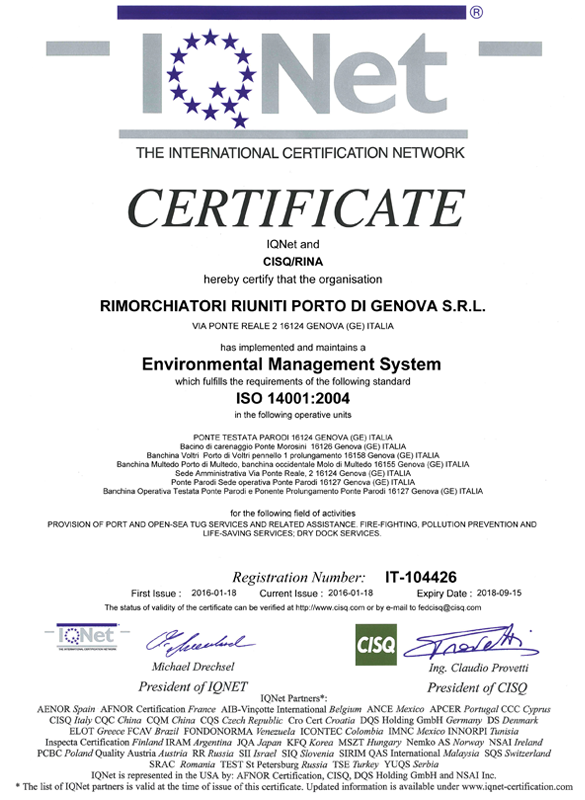 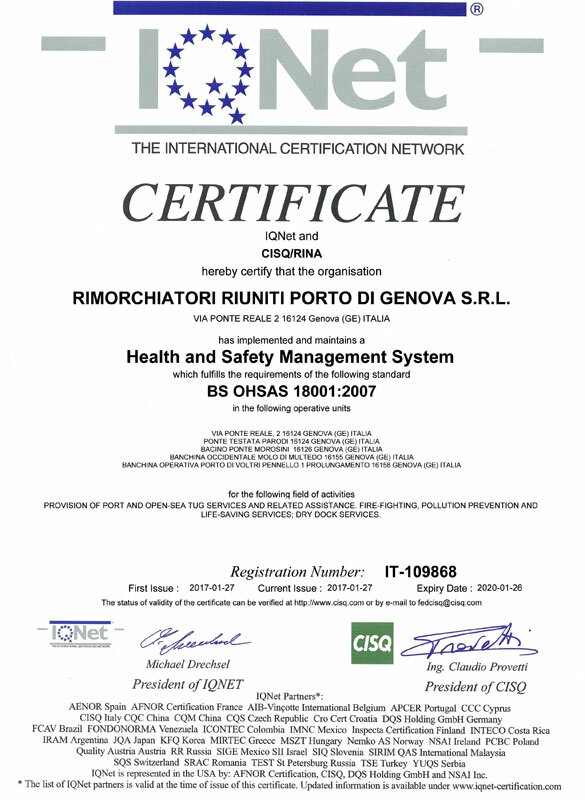 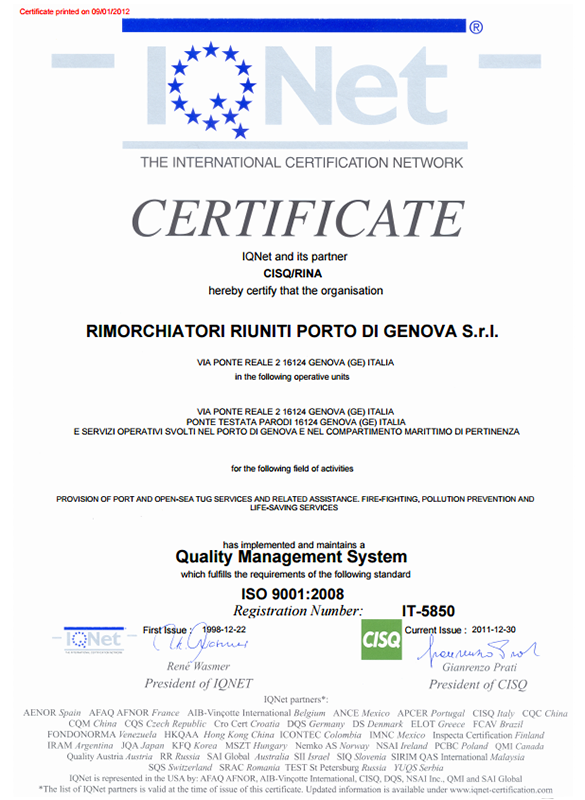 Rimorchiatori Riuniti Porto di Genova s.r.l.